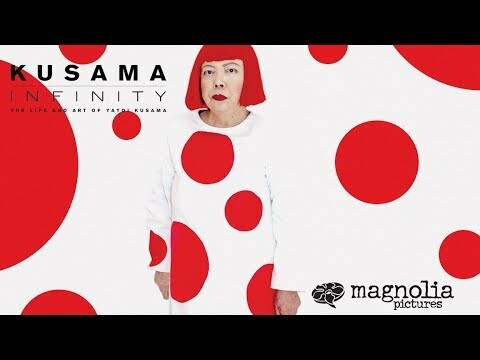 Kusama: Infinity was released on Cinema 229d ago in the US. Notify me when Kusama: Infinity is available. Based on 6 Kusama: Infinity reviews, Kusama: Infinity gets an average review score of 66. Directed by Heather Lenz, the film offers insight and eye candy, despite the fact that it is far more traditional — in style and format — than its subject. The approach is perhaps a little tame for an artist whose creations are so spiked with wildness, but it’s effective, all the same. Heather Lenz's debut shows how long a path Japanese artist Yayoi Kusama followed before she became a global phenom. Kusama — Infinity, while conventionally structured, provides ample, illuminating access to an artist’s way of thinking and working. It starts out strongly enough with a discussion of Georgia O’ Keefe’s, Black Iris, juxtaposed alongside Kusama’s childhood of physical abuse. Kusama’s last laugh, her vengeance, has emerged in her longevity, as she herself suggests, but also sartorially.